San Diego is such a beautiful city with so much to see and so much to do! San Diego in February is a fun and gorgeous city of love. 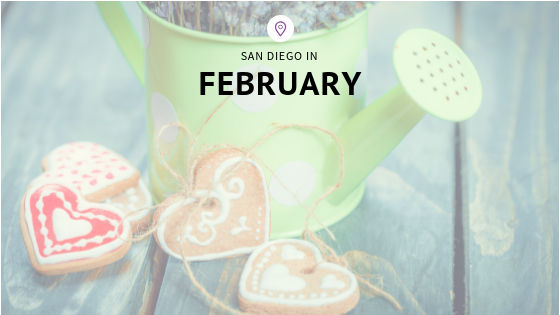 February is a good time to visit San Diego, as winter starts to wind down and it’s before the crowds arrive for spring break. February isn’t the time to go if you want to spend a lot of time at the beach. But if you’re thinking of a romantic Valentine’s Day getaway, San Diego is a good bet. 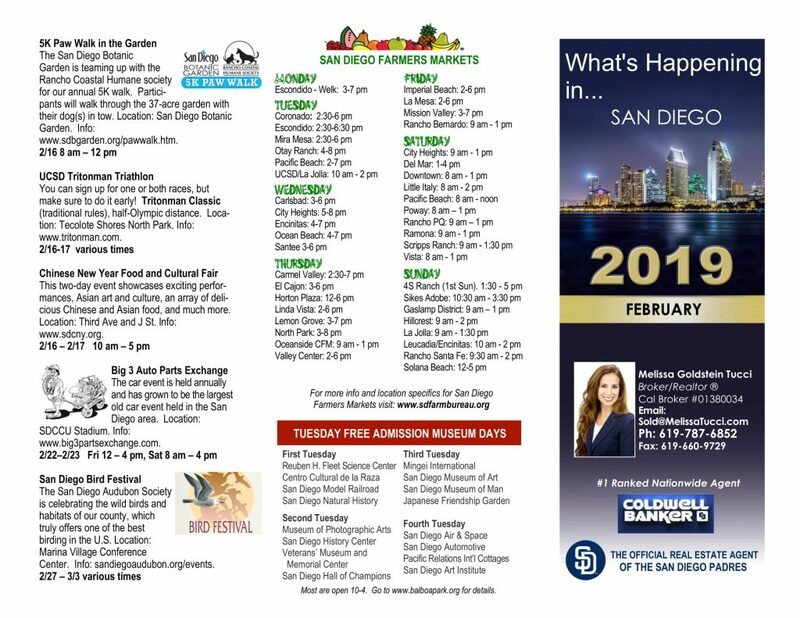 Guests can participate by picking up a free San Diego Museum Month Pass at participating libraries; with the pass, guests can receive half-price admission for up to four guests per visit, at 40 of San Diego’s museums, and historical sites. 2019 is the Chinese New Year of the Pig. If pricey tickets keep you from experiencing the San Diego Opera, you can still experience the music for free! Artists from “Rigoletto” will present a free, lunchtime recital of songs from Verdi’s traditional Italian classic opera. Come to San Diego’s Mission Bay for a scenic women’s 5k, 10k, and half marathon. The flat and fast course features beautiful views on mostly closed roads. The Mermaid is ideal for both runners and walkers. The 10th Annual Brewbies Festival –100% of the proceeds are donated to the Keep A Breast Foundation. Changing the world – one pink beer at a time! Bring your sweetheart or just your sweet tooth to beautiful Downtown Escondido. Enjoy various designated restaurants, shops, and spas while sampling chocolates paired with local fine wines and craft beers. This flat and fast course is perfect for everyone – whether you are an experienced runner looking to set a 10K PR, or a couple looking for something fun to do with your Valentine. Location: Tidelands Park, Coronado. Info: www.valentinesday10k.com. Say goodbye to 2018 and hello to 2019 with an incredible line up of shows! Sixty teams from all over the globe! Rooftop parties, onsite bar, and lots of fun activities await you this year. 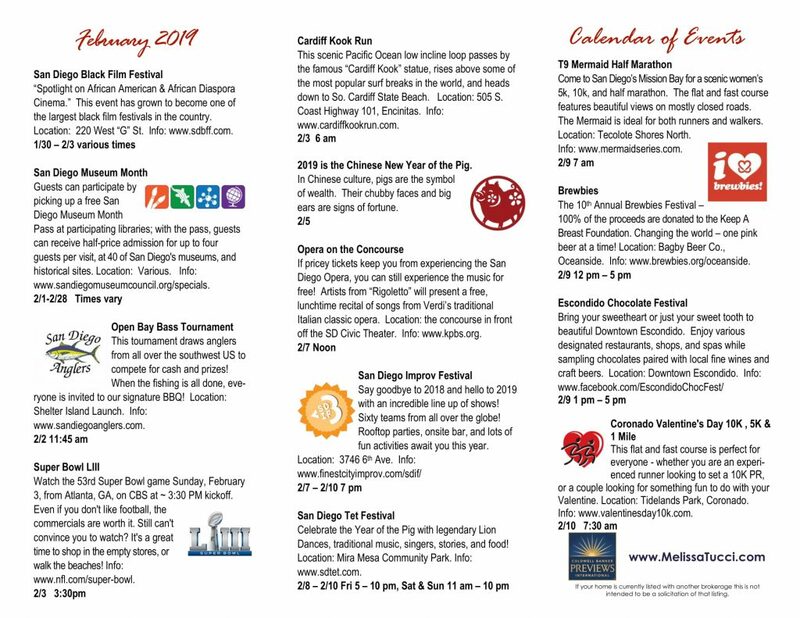 Celebrate the Year of the Pig with legendary Lion Dances, traditional music, singers, stories, and food! Location: Mira Mesa Community Park. Info: www.sdtet.com. The San Diego Botanic Garden is teaming up with the Rancho Coastal Humane Society for our annual 5K walk. Participants will walk through the 37-acre garden with their dog(s) in tow. Location: San Diego Botanic Garden. Info: www.sdbgarden.org/pawwalk.htm. You can sign up for one or both races, but make sure to do it early! Tritonman Classic (traditional rules), half-Olympic distance. Location: Tecolote Shores North Park. Info: www.tritonman.com. This two-day event showcases exciting performances, Asian art and culture, an array of delicious Chinese and Asian food, and much more. Location: Third Ave and J St. Info: www.sdcny.org. The car event is held annually and has grown to be the largest old car event held in the San Diego area. truly offers one of the best birding in the U.S. Location: Marina Village Conference Center. Info: sandiegoaudubon.org/events.